Night of the Living Deadlift 2018 - CrossFit Tigard P.A.W. Join us on the 24th for our 3rd annual Night of The Living Deadlift event! 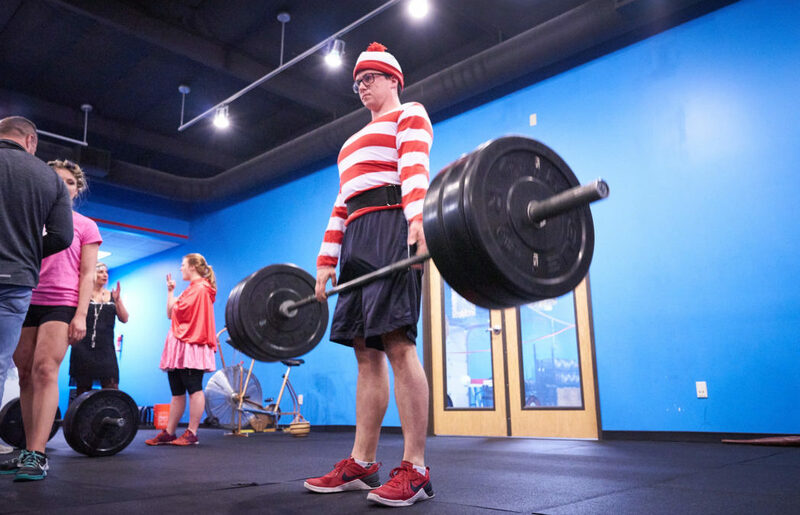 Wear a costume and move some weight for a great cause and a good time. All proceeds will go to the Deaf Dogs of Oregon, which rescues, trains, and educates about Deaf Dogs. We will have a pot luck dinner and party afterwards, so bring a yummy dish or beverage to share. There will also be trivia, games, and prizes for best costumes/lifts. The deadlift competition will be run like a lifting meet. You will get 3 attempts at establishing a max. Timeline: Show between 5:30 and 6:00pm to check in, register, select your opening attempt, and begin warming up. First lift will be at 6:30pm. We will start with the lightest attempt and then load the bar, you will lift in order of how heavy your attempts are. Once the bar is loaded up, it will not go back down, so make sure you choose an opener you are confident with, and choose your subsequent attempts accordingly. There will be a 35 lb and 45lb bar and Men and Women will lift on separate platforms. There will be a designated warm-up area and coaches can help guide you on choosing warm-up lifts. This event is open to friends and guests.